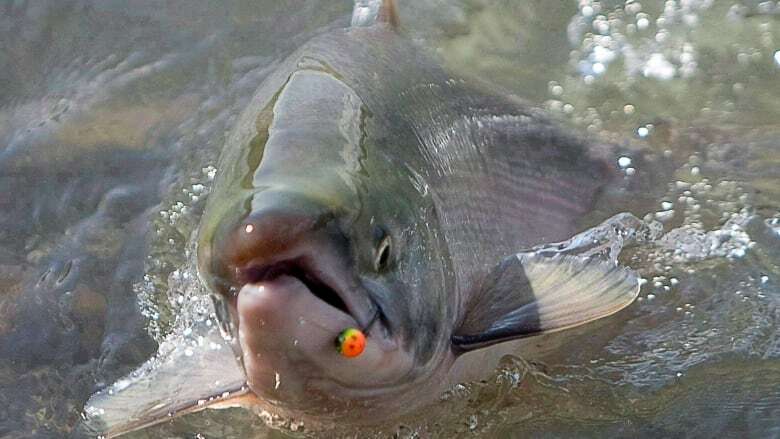 Fisheries and Oceans Canada says the risk to British Columbia's Fraser River sockeye salmon posed by a potentially lethal virus is minimal, but there's still more to learn so the department will remain vigilant. Federal scientists were among 33 members of a peer review panel that looked at the data and risk assessment of piscine orthoreovirus, or PRV. PRV was discovered in 2010 and is thought to cause an infectious fish disease known as heart and skeletal muscle inflammation, according to the environmental group Ecojustice. It says PRV was first observed in farmed Atlantic salmon in a single fish farm in Norway in 1999. Now, there are 419 farms infected with the disease in Norway, said Ecojustice. Gilles Olivier, who co-chaired the review, says some knowledge gaps about the virus include how long it survives and its concentration in the water. He says while the virus is causing mortality in fish in Norway, it's not killing British Columbia's sockeye or Atlantic salmon even when it is injected in high doses. The Cohen commission investigated the decline of sockeye salmon in the Fraser River and made 75 recommendations in 2009. The virus risk assessment represents the sixth in a series of 10 risk assessments on its transfer from farmed Atlantic salmon to Fraser River sockeye salmon.